Pink shoes. I opened the box and I’ll admit I was a little disheartened. I don’t do pink anything but let’s not judge a shoe by its’ colour because the new release from Saucony – the Freedom ISO* – is worth more of your time. 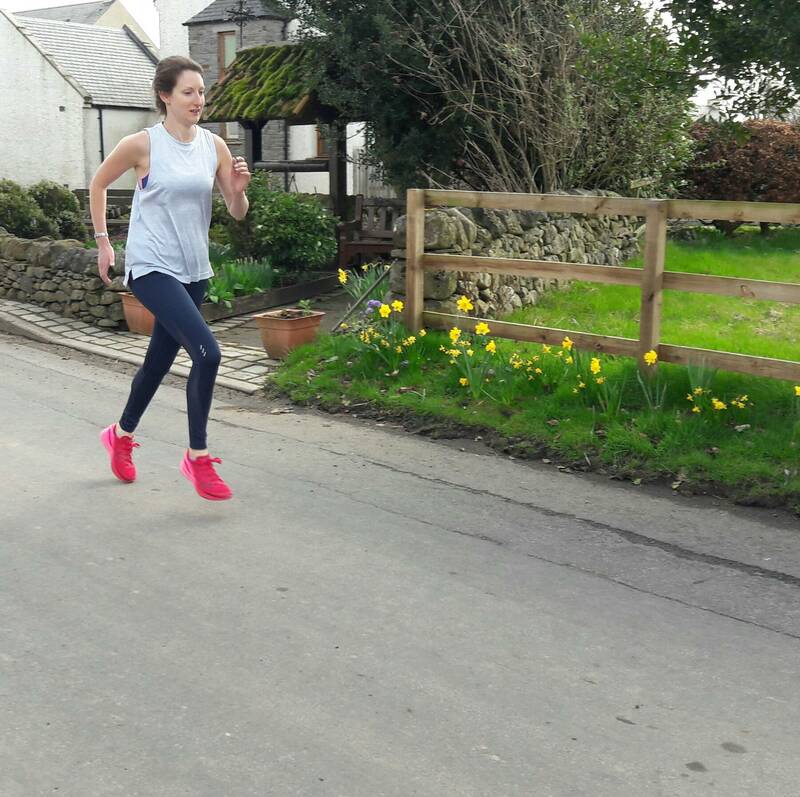 I’ve only ever owned one pair of trainers from Saucony – an old Peregrine model – so I was excited to see what their latest offering was and how it compared to some of my favourite road shoes. The Saucony Freedom ISO is a first of its’ kind for the brand as they release the full-length EVERUN foam sole, something which only Adidas have done so far with their latest Boost shoe. 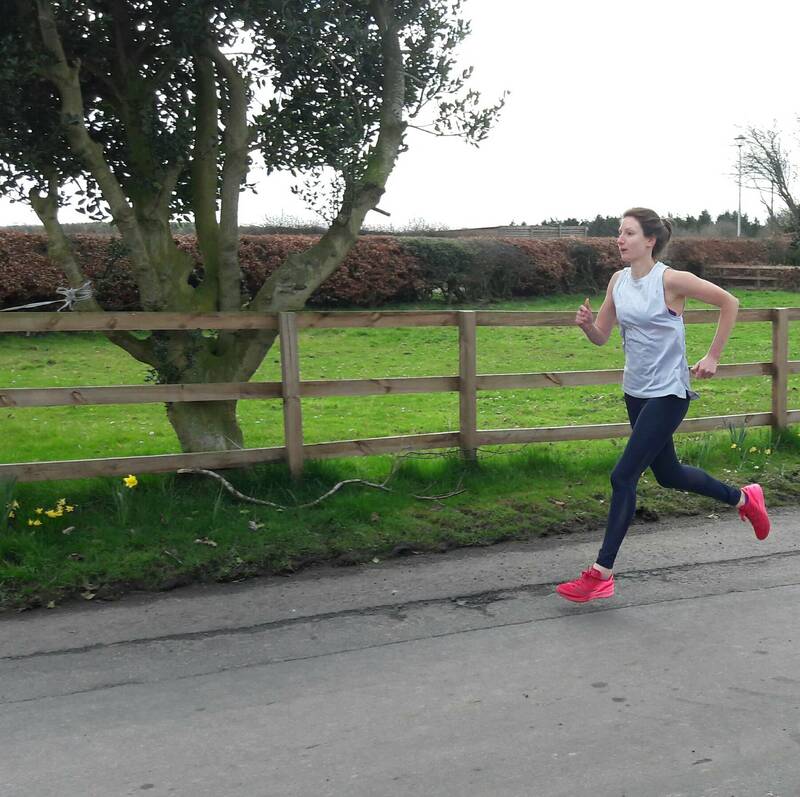 In another review, I read that it compares to the Adidas Adizero Boston 6‘s – one of my favourite racing flats – so I was intrigued to see how it responded to my running. It’s lightweight with a 4mm heel drop and the Freedom ISO’s key features are it’s EVERUN sole and ISOFIT system upper. EVERUN is Saucony’s chosen material for the midsole, similar to that of the Adidas Boosts, promising to give runners an 83% energy return, pretty bouncy then. The ISOFIT system used on the upper shoe provides a Nike Flynit-style snugness, which is flexible and breathable. So how did I find Saucony Freedom ISO shoe? – I think she likes them! Thanks to Pro:Direct Running for letting me review the fab new release from Saucony. 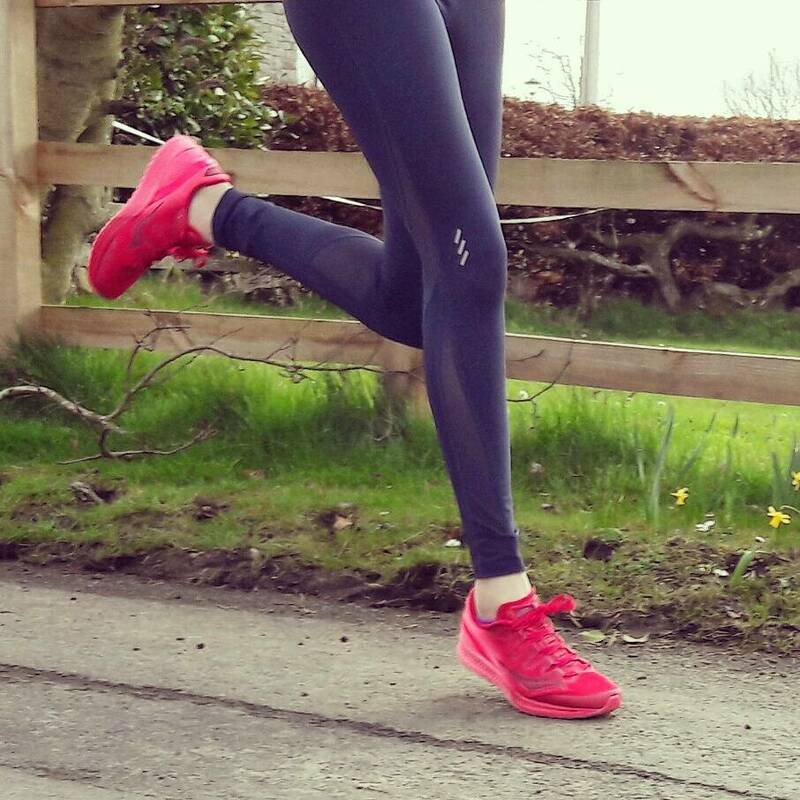 If you’re looking to add some extra bounce without the bulk then I’d give the Freedom ISO‘s a go, you can grab them online at Pro:Direct Running and let me know if they become your favourite new racing shoe. I love the colour- very spring-like. My newest shoes are mainly black (old autumn range ones) but sometimes you can’t be fussy about the colour if you want them to be comfy. 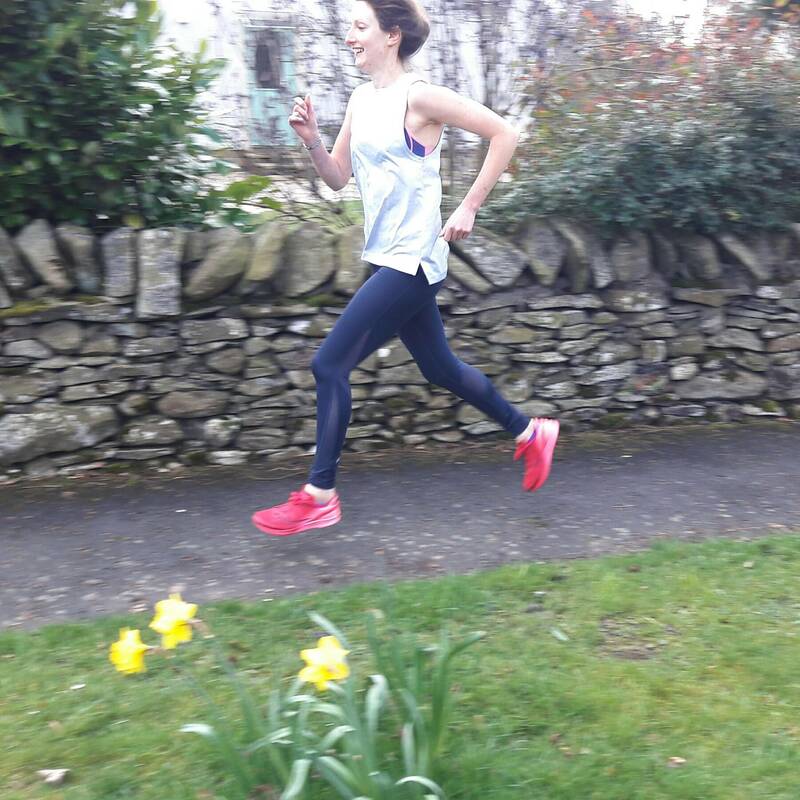 You have got some brilliant mid-run photos too! Hi Maria! Thanks! Bold block colours just aren’t my thing, especially pink, and I find it hard to know what to wear if I have bright pink shoes! It’s all about the feel and fit with trainers though, you’re right. I would of thought they be more cushioned and softer than the Bostons, closer to the energy boost. With full everun I could imagine they be a little more bouncier too. Your thoughts? Did you find them firm or soft to walk and run in. Any weaknesses in the freedoms? Thanks in advance. Thanks Steve, yes I’d say they were initially bouncier than the boosts to begin with, very soft. 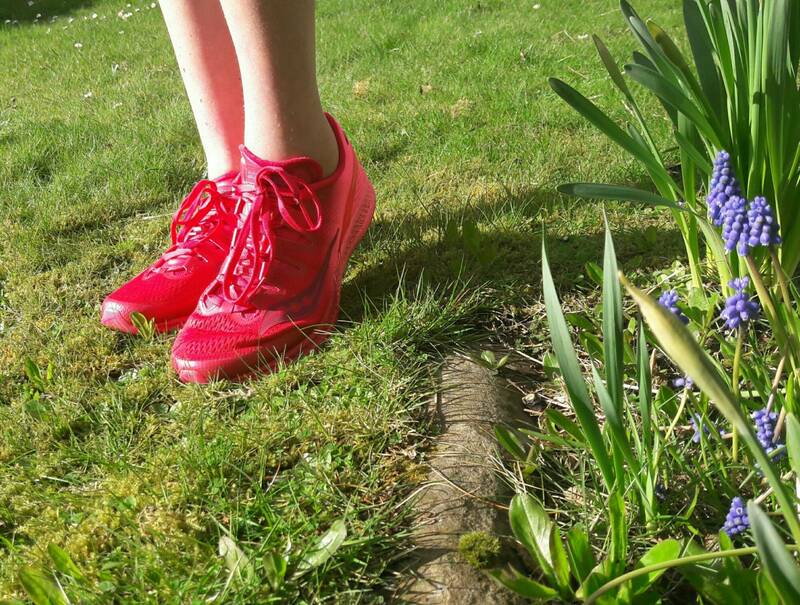 I actually saw a lady wearing them at a 50km trail race on Sunday and asked her how she found them – perfect, light and very cushioned, she loves them. I couldn’t find any weaknesses, but I guess over time, like all shoes, the bounce would fade.